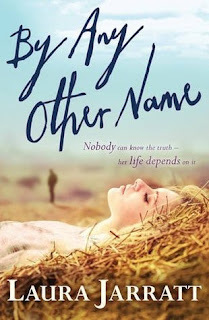 I'm really pleased today to be taking part in the blog tour for Laura Jarratt's By Any Other Name. Laura Jarratt is quickly becoming a favourite author after just two books. I really loved Skin Deep her debut book out last year and I really loved her second offering By Any Other Name. I loved how both books had fantastic characters and relationships and the way in which identity plays a part in both. Laura Jarratt is here today talking a bit about the unusual way that By Any Other Name was written in, a non-linear plot structure. 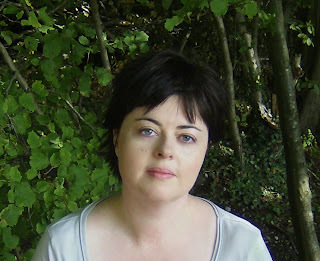 This guest post is really quite interesting, especially for those of you out there who are both readers as well as writers! I hope you'll enjoy reading it and leave Laura and I a comment below with your thoughts! Non-linear Plot Structure – what is it and why? Yes, I said ‘Eh?’ too the first time I heard the term. Basically it means you don’t progress through a book in a simple sequence of one event to the next to the next chronologically in time. In other words, time will be out of sequence and there will be flashbacks to previous events. A lot of beginning writers, myself included with my first book, pick up the idea from writing blogs that flashbacks are a bad idea. I want to dispel that straight away. They’re not – there is advice out there against them but it’s misinterpreted like Chinese Whispers. It should go something like: don’t use a flashback too early in a novel to give information to the reader that they don’t need to know yet. This avoids the common info dump in the first chapter and also avoids slowing up the reader’s connection the characters in the here and now by pulling them away from that too quickly. Q: So when do you use a flashback? A: When you want to dramatise a scene. When you want to show and not tell. And timing is everything. When you meet a new friend, you don’t immediately tell them your entire life history in your first conversation, do you? So why do that to a reader? Let them find out organically, naturally, when it becomes relevant. By Any Other Name relies strongly on the use of flashbacks to unfold the plot and keep the reader in the dark about what really did happen to Holly for a significant part of the book. So how does a writer set about doing this? I would love to tell you I planned it all out in advance with a diagram and sweated over just what went where until I had events mapped out to my satisfaction, and then I sat down to write the book. Unfortunately I just can’t write like that so I make life difficult for myself with a book like this. I fumbled my way through, finding the plot as I went by simply writing. I knew I was going to use flashbacks as a tool so every now and again I would think ‘Hmm, probably need one about here, but what bit do I want to reveal now?’ That was, alas, as organised as I got until the first draft was done. why a chapter needs to exist, otherwise I could just waffle on with some nice scenes that don’t really take the plot anywhere. Warning: cutting your own scenes is really hard – you will do it but not enough and this is why editors exist, to point out where you’ve been slack with pace etc. You could do this with lots of aspects of your book. People who write fanfic, for instance, tend to be good at putting chapter hooks in at the end of each section because they want the reader back for the next part, but it’s easy to get lazy about that over the course of a whole book so you could use the flow diagram method to look at the balance of hooks: softer endings. Or you could follow your character arcs through to show how they’ve grown as people. Basically it works really well to help you eliminate your weaker areas so if you’re writing a long fanfic with multiple episodes or you’re trying to write a book, it might be worth seeing if this helps you too. This is a really interesting post! I like flashbacks as it makes the book mysterious but sometimes they aren't done very well. I am very eager to read Skin Deep/By Any Other Name now. :) Thanks for posting, Clover! Thank you both for such a helpful post! I really like the use of flashbacks in a book, and it's interesting to learn how I should use them, because mine end up being really random and don't actually help the story along, LOL.